My colleagues in this workshop have commented on what is meant by the terms "drug-like" or "drugable" properties. Clearly, most companies prefer to develop drugs that do not require heroic interventions to achieve drug delivery, pharmacokinetic (PK) and pharmacodynamic (PD) goals. Thus a drug should have adequate water solubility to facilitate dissolution if administered orally and superior solubility if a parenteral solution dosage form is required. The drug should have the ability to cross biological membranes either via passive permeation or via a carrier-mediated process. If it is unable to do so, absorption from the gastrointestinal tract (GIT) may be limited and access to intracellular sites a challenge. For passive permeation, having lipophilic properties is ideal, thus this property can conflict with the goal of adequate water solubility. The drug must have adequate chemical stability in its desired dosage forms, once in solution and adequate metabolic stability so that it does not undergo excessive presystemic clearance and has a reasonable in vivo residence time. The drug should have properties such as taste, odor, etc. that allow for ease of formulation and it would be ideal if the drug had greater affinity for the activity receptor site than for sites and receptors that could lead to toxic outcomes. For the last 100 years, many small molecules have been identified with desirable therapeutic benefits. Most have "drugable" properties, since the ability to deliver and test drugs without these properties has been limited. That is, earlier in vivo screening techniques led to a natural selection process of drugs with drugable properties while discarding otherwise efficacious but poorly deliverable molecules. With combinatorial chemistry increasing chemical libraries to mega-numbers, receptor and cell culture based assays and high throughput screening (HTS) assays, and an increase in scientific sophistication, molecules have been identified which should be active, if they are capable of reaching and maintaining adequate concentrations at the appropriate receptor site. Along with this increased sophistication, increased frustration has occurred as receptor or enzyme based assays have not always translated to in vivo efficacy. The negative in vivo responses and lack of "developability" of many of these molecules have etiologies that include poor "drugable" properties (Horspool and Lipinski, 2003; Lipinski, 2000; Lipinski et al., 1997). On the positive side, these assays and the novel chemistries have helped identify new chemical entities (NCEs) with complex structures, which would have been discarded in earlier times due to apparent lack of apparent in vivo efficacy. What if these agents could now be delivered? These "leads" could result in new drug molecules with truly novel structures. However, further analog development of these leads often fall into the category of what has been termed the "high affinity trap" whereby the constraints for receptor activity no longer allow the incorporation of drugable properties through analog modifications. 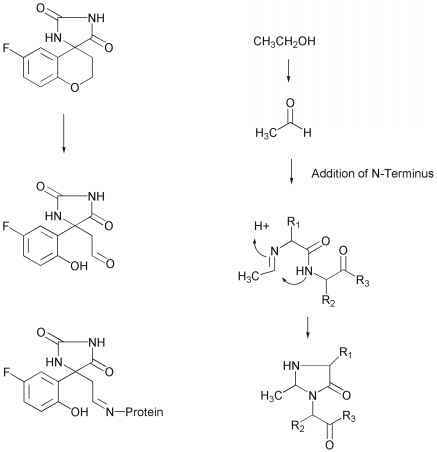 A possible solution to this dilemma is the rational design of prodrugs.